Sseasonal affective disorder, or SAD (now known as major depressive disorder with seasonal patterns), is a condition that tends to occur during the fall and winter months. People with SAD often have a depressed mood or a lack of interest in normal activities, along with other symptoms, such as fatigue, weight gain, changes in sleep patterns, irritability, anxiety, and cravings for sweets and starchy foods. To help manage the symptoms of SAD, counseling and medication may be recommended. In addition, natural treatments may help alleviate symptoms. Here's a look at natural treatments and lifestyle changes that are sometimes used for seasonal affective disorder. 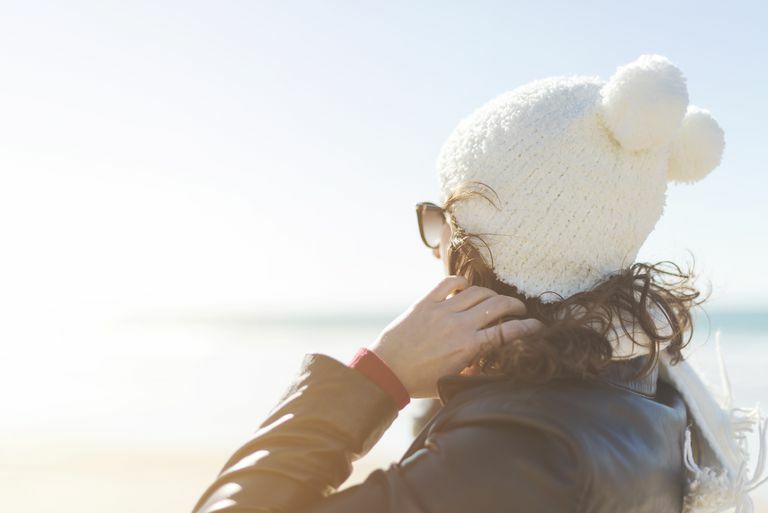 Because lack of exposure to sunlight is thought to trigger seasonal affective disorder, light therapy is often recommended as a treatment for this condition. Light therapy typically involves sitting near a device that emits bright LED light (called a "light box") for a short period of time in the morning. In a 2015 review published in the Cochrane Database of Systematic Reviews, researchers analyzed a previously published study on light therapy to prevent winter depression that found that the use of visors with bright white light or infrared light reduced the incidence of SAD compared to no light therapy. In their analysis, the study authors noted that further studies are needed as the quality of the evidence was low, and no information was provided on side effects. Increasing your exposure to sunlight by spending more time outside or sitting beside a window may also help some people with seasonal affective disorder symptoms, according to the American Psychiatric Association. To date, few studies have tested the effectiveness of dietary supplements in the natural treatment of seasonal affective disorder. A review of previously published research found that low vitamin D levels were associated with depression. Clinical trials, however, have yet to find that vitamin D has an effect on symptoms of seasonal affective disorder. A study published in BMC Research Notes, for instance, examined the effects of a daily dose of vitamin D or a placebo in healthcare professionals with SAD symptoms and found no effect of vitamin D on symptoms. In a pilot study published in 2016, researchers found that the percentage of people with seasonal affective disorder among Finnish vegetarians was four times higher than in the normal population. In addition, in a Dutch outpatient clinic, the percentage of vegetarians among those with seasonal affective disorder was three times higher than in the normal population. Stress management is another natural treatment option for seasonal affective disorder, according to the National Institutes of Health. Indeed, studies show that chronic stress may increase your risk of depressive disorders. In addition to managing your stress triggers, you may want to consider the regular practice of stress reduction techniques like yoga, meditation, guided imagery, and progressive muscle relaxation. While certain natural treatments may help to manage your symptoms, other treatments (such as talk therapy, medication, or lifestyle interventions) may be needed in order to properly treat this condition. If you are experiencing symptoms of seasonal affective disorder, it's important to work with a health care professional in creating a treatment program rather than to self-treat or delay treatment. Frandsen TB, Pareek M, Hansen JP, Nielsen CT. Vitamin D supplementation for treatment of seasonal affective symptoms in healthcare professionals: a double-blind randomised placebo-controlled trial. BMC Res Notes. 2014 Aug 14;7:528. Meesters ANR, Maukonen M, Partonen T, et al. Is There a Relationship between Vegetarianism and Seasonal Affective Disorder? A Pilot Study. Neuropsychobiology. 2016;74(4):202-206. Nussbaumer B, Kaminski-Hartenthaler A, Forneris CA, et al. Light therapy for preventing seasonal affective disorder. Cochrane Database Syst Rev. 2015 Nov 8;(11):CD011269. Is Treatment With Cryotherapy Harmful?